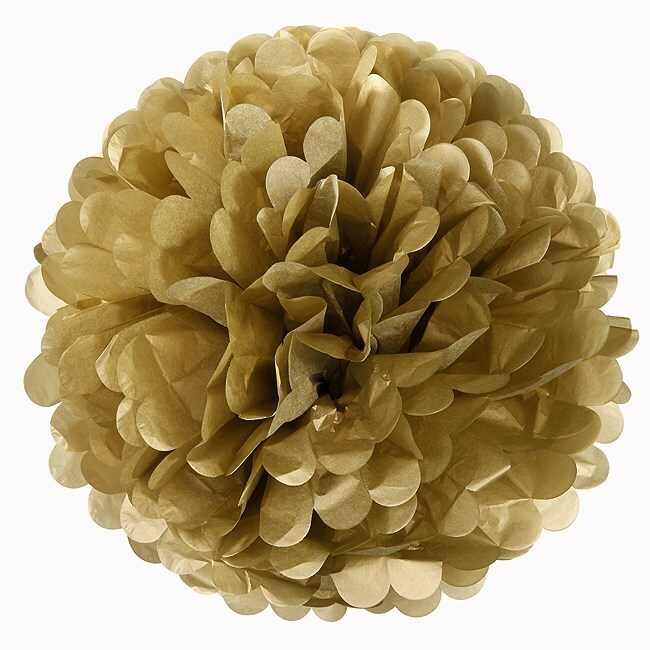 Add depth and elegance to any room with large Gold Pom Poms! These large decorations are a must have for your wedding reception. You will add the wow factor and have your guests talking about your fabulous reception! 3 x 15" tissue pom pom with ribbons. Easy to make with instructions included.